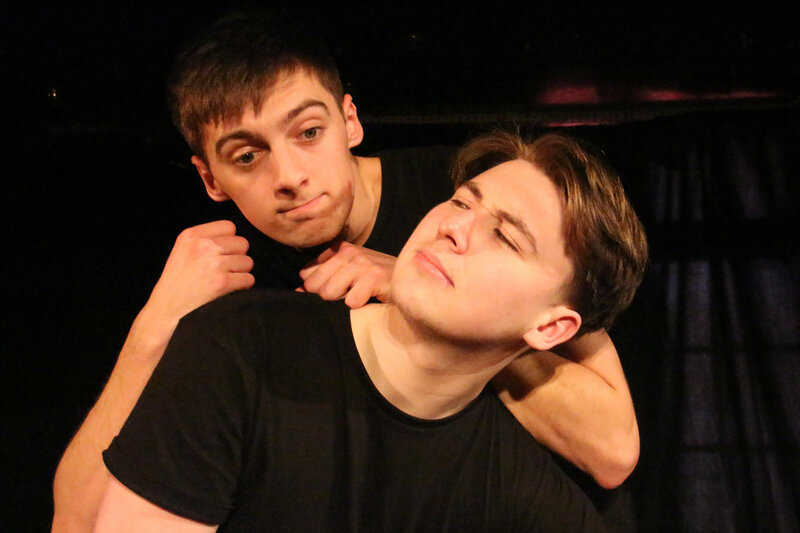 Help us get to Edinburgh! The age-old story of boy meets girl. Well boy meets boy - they’re brothers, in a womb. So more like sperm meets egg, becomes foetus and then a baby…or babies in this case, and one mother is in for a big surprise. 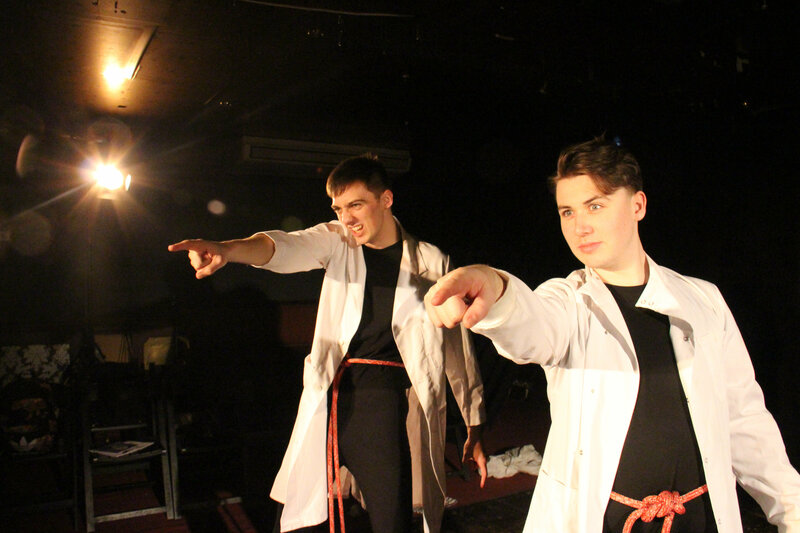 Wombmates is an 'ultra-sound', bizarre physical comedy following two Geordie babies, from conception to delivery. All that time gives these boys the chance to play, discover and explore but when their 9 months are up, is there really life after birth? Following a fantastic 5 night run at Theatre N16, Balham, in March this year, we are hoping to go one bigger and take Wombmates to Edinburgh. This is where you come in because we really need your help! We need to raise exactly £4,167.35 to take these two Geordie babies, from Newcastle, up to Scotland. Can you help us, like? 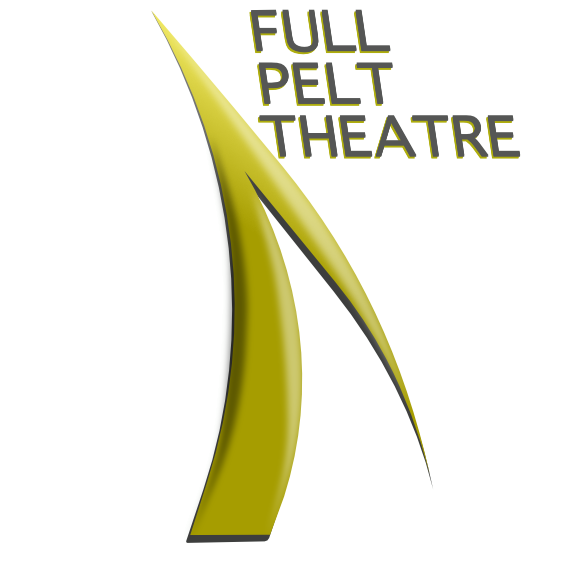 We're a graduate company from East 15 Acting School's Acting and Contemporary Theatre course. We have been up and running for almost a year now and in that time have done a mini tour with our debut show 'The Going Away Days', going from Ipswich to Plymouth then to London, selling out the New Diorama Theatre as part of their Two Night Stand scheme and have recently had great success with 'Wombmates' at Theatre N16, Balham. This is what one reviewer from London Pub Theatres said about Wombmates! 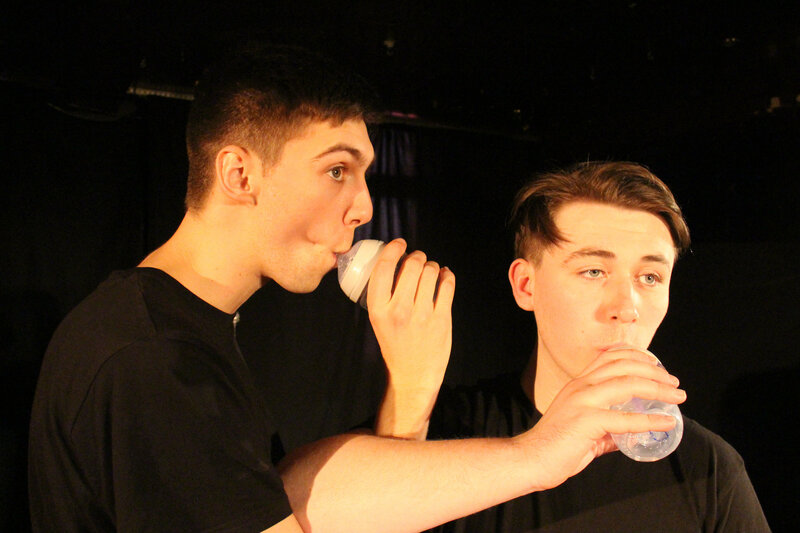 Following our run at Theatre N16 we received two 4-star reviews and a great reception from our audiences and now we want to go one step further and take Wombmates to the biggest theatre festival in the world, the Edinburgh Fringe Festival. We are fundraising to perform Wombmates for a full run of the festival, thats 21 performances over 3 weeks. We have the show all ready to go, there's just a few more things we have to pay for to get us up to Scotland so we can showcase our brand new original comedy. It'll be propa wicked, man! London Pub Theatres - 4 Stars! By donating to this project you will be contributing towards one of the many costs we have to cover and every penny donated will be spent on the essentials we need in order to perform at the festival. The bare minimum we need to put on the show is a venue and by hitting our minimum target of £1500 that means we'll be able to secure our venue in Edinburgh. This is what the money will pay for if we hit our maximum target and then if we surpass that...well...MINT! Any extra funds will go towards travel and accommodation in Edinburgh, a PR representative to help sell our show and some merchandise that will be available to purchase throughout the festival. Why AYE MAN! WHAT'S IN IT FOR YOU THOUGH? We hope you didn't think we were going to ask you to donate without giving you something in return! Apart from that really warm and fuzzy feeling you'll get knowing that you've helped support a group of emerging artists achieve their goal, we're going to reward you as well! Have a look down the side of our page and you'll see the different rewards that could be yours depending on the size of your pledge. We'll be giving regular updates on our progress so you can see how we're doing! All that's left to say is ... thanks for reading and have a canny good day. If you've a few spare pennies, just chuck 'em this way!